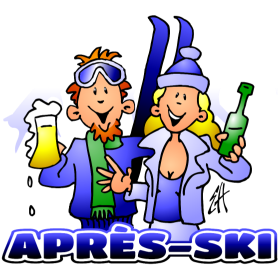 Après-ski party T-Shirt and hoodie design in full color. Boy and girl having an après-ski party on their winter sports holiday. Order this design printed on custom T-Shirts, hoodies and all kind of other gifts.